Louis NORMAN was born about 1853 in , , Indiana. Louis married Mary Ann HOLLINGSWORTH on 2 Feb 1876 in , , Indiana. Mary Ann HOLLINGSWORTH [Parents] was born in 1856 in , Knox, Indiana. Mary married Louis NORMAN on 2 Feb 1876 in , , Indiana. Charles Fremont HOLLINGSWORTH [Parents] was born in 1861 in Of Widner, Knox, Indiana. Charles married Rosa CAMPBELL on 25 Feb 1888. Rosa CAMPBELL was born in Jul 1866 in , , Indiana. Rosa married Charles Fremont HOLLINGSWORTH on 25 Feb 1888. Elsie HOLLINGSWORTH was born in 1889 in Of, , Knox, Indiana. She died about 1950. William HOLLINGSWORTH was born in 1891 in Of, , Knox, Indiana. He died about 1950. Allen HOLLINGSWORTH was born in Jan 1893 in , Knox, Indiana. Donald Hewitt HAGOOD. Donald married Sandra Kay MARTIN on 3 Jan 1978. Sandra Kay MARTIN [Parents] was born on 25 Dec 1957 in Washington, D.C.. Sandra married Donald Hewitt HAGOOD on 3 Jan 1978. Christine Michelle HAGOOD was born on 26 Nov 1978. Jonathan Hewitt HAGOOD was born on 27 Dec 1981. Smith Chambers MC CORD [Parents] was born on 9 Nov 1827 in , Knox, Indiana. He died on 9 Nov 1898 in Bruceville, Knox, Indiana. He was buried in Price - Hollingsworth Cemetery, Bruceville, Knox, Indiana. Smith married Mary Ann HOLLINGSWORTH on 18 Aug 1852 in , Knox, Indiana. Mary Ann HOLLINGSWORTH [Parents] was born on 29 Aug 1831 in Of Upper Indiana Church, Palmyra Twp, Knox, Indiana. She died on 16 Oct 1880 in Bruceville, Knox, Indiana. Mary married Smith Chambers MC CORD on 18 Aug 1852 in , Knox, Indiana. M i Ellis C. MC CORD was born in 1853. M ii Henry H. MC CORD was born in Jul 1855. He died on 23 Mar 1914. F iii Clarinda Mary MC CORD was born on 17 Jul 1857. She died on 20/20 May 1895. M iv Winfried Scott MC CORD was born on 13 Jan 1862. He died on 13 Jul 1938. Everett S. MC CORD was born in 1866 in , Knox, Indiana. Thompson. Thompson married Maxine HOLLINGSWORTH. Maxine HOLLINGSWORTH [Parents] was born in , , Pennsylvania. Maxine married Thompson. F i Sherie or Cherie THOMPSON. Ellis C. MC CORD [Parents] was born in 1853 in , Knox, Indiana. He died in , Knox, Indiana. Ellis married Mary Jane NORMAN on 5 Sep 1875 in , Knox, Indiana. Mary Jane NORMAN was born on 28 Jun 1856 in , Knox, Indiana. She died on 18 Jun 1880 in , Knox, Indiana. Mary married Ellis C. MC CORD on 5 Sep 1875 in , Knox, Indiana. Bernard HOLLINGSWORTH [Parents] was born on 22 May 1791 in , Union, South Carolina. He died on 14 Feb 1876 in , Knox, Indiana. He was buried in Price-Hollingsworth Cemetery, Knox, Indiana. Bernard married Nancy Ann MC KEE on 28 Mar 1816 in , Clark, Kentucky. Nancy Ann MC KEE [Parents] was born on 22 Feb 1799 in , Clark, Kentucky. She died on 28 Oct 1874 in Bruceville, Knox, Indiana. She was buried in Price Hollingsworth Cemetery, Bruceville, Knox, Indiana. Nancy married Bernard HOLLINGSWORTH on 28 Mar 1816 in , Clark, Kentucky. M i Wesley HOLLINGSWORTH was born on 4 Jan 1817. He died on 26 Apr 1897. M ii John HOLLINGSWORTH was born on 16 Dec 1818. He died on 20 May 1894. M iv William P. HOLLINGSWORTH was born on 28 Aug 1823. He died on 26 Jan 1897. Anna HOLLINGSWORTH was born on 9 Oct 1825 in , Frederick, Virginia. M vi Thomas J. HOLLINGSWORTH was born on 21 Jun 1827. He died on 20 Apr 1860. M vii Archibald HOLLINGSWORTH was born on 28 Sep 1829. He died on 23 Mar 1907. F viii Mary Ann HOLLINGSWORTH was born on 29 Aug 1831. She died on 16 Oct 1880. Ferdinand HOLLINGSWORTH was born on 26 Feb 1834 in , Frederick, Virginia. He died on 23 May 1851 in , Knox, Indiana. He was buried in Price-Hollingsworth Cemetery, Knox, Indiana. F x Eliza HOLLINGSWORTH was born on 31 Mar 1837. She died on 20 Jul 1860. M xi Joshua Clark HOLLINGSWORTH was born on 9 Oct 1839. He died on 9 Mar 1914. M xii Milton HOLLINGSWORTH was born on 28 Nov 1842. He died after 1880. F xiii Sarah J. HOLLINGSWORTH was born in 1846. John MC KEE was born on 10 Apr 1778 in , Clark, Kentucky. He died on 15 Sep 1838 in Bruceville, Knox, Indiana. He was buried in Vincennes, Knox, Indiana. John married Sarah PRICE. Sarah PRICE was born in 1779 in , Russell, Virginia. 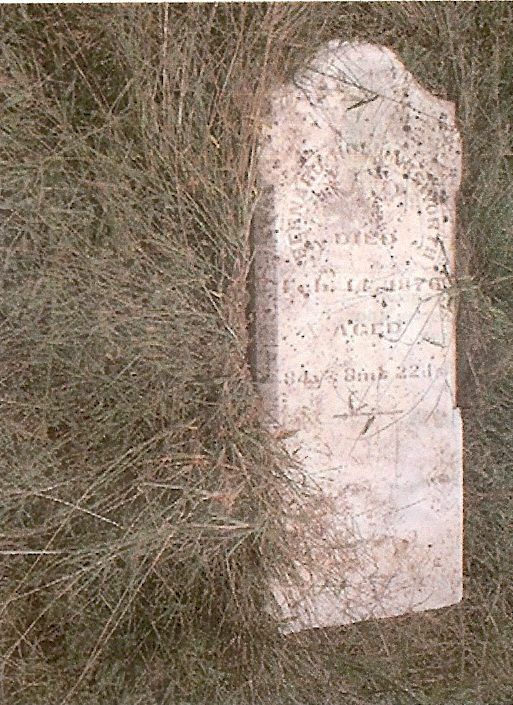 She died on 31 Aug 1830 in Bruceville, Knox, Indiana. Sarah married John MC KEE. F i Nancy Ann MC KEE was born on 22 Feb 1799. She died on 28 Oct 1874. John Alexander CHAMBERS was born on 16 Jan 1782 in Fayette, Fayette, Kentucky. He died on 31 Jan 1865 in Subdivison 61, Knox, Indiana. He was buried in Chambers Cemetery, Widnere Twp, Knox, Indiana. John married Nancy HOLLINGSWORTH on 24 Jun 1815 in , Knox, Indiana. Nancy HOLLINGSWORTH [Parents] was born on 23 Dec 1792 in , Union, South Carolina. She died on 8 Dec 1860 in Subdivison 61, Knox, Indiana. She was buried in Chambers Cem, Widner Twp, Knox, Indiana. Nancy married John Alexander CHAMBERS on 24 Jun 1815 in , Knox, Indiana. Samuel CHAMBERS was born about 1816 in Subdivison 61, Knox, Indiana. Nancy Ann CHAMBERS was born about 1818 in Subdivison 61, Knox, Indiana. M iii Benjamin CHAMBERS was born in 1820. Calvin CHAMBERS was born about 1821 in Subdivison 61, Knox, Indiana. He died in , , Indiana. Sarah CHAMBERS was born on 8 Sep 1822 in , Knox, Indiana. She died on 24 Mar 1902 in , Knox, Indiana. M vi William Carey CHAMBERS was born in 1826. F vii Mary Jane CHAMBERS was born on 29 Dec 1827. She died on 30 Sep 1899. M viii Thomas CHAMBERS was born in 1830. He died on 9 Apr 1863. Alexander CHAMBERS was born in 1832 in Subdivison 61, Knox, Indiana. Abraham HOLLINGSWORTH [Parents] was born on 16 Aug 1797 in , Union, South Carolina. He died on 18 Dec 1872 in , Knox, Indiana. He was buried in Price-Hollingsworth Cem. Knox, Indiana. Abraham married Sarah "Sally" DUNN on 15 Feb 1819 in , Knox, Indiana. Sarah "Sally" DUNN [Parents] was born on 20 May 1797 in , Mercer, Kentucky. She died on 10 Apr 1869 in , Knox, Indiana. Sarah married Abraham HOLLINGSWORTH on 15 Feb 1819 in , Knox, Indiana. Eliza Jane HOLLINGSWORTH was born on 10 Dec 1822. M ii Daniel Perry HOLLINGSWORTH was born on 22 Nov 1824. He died on 4 Sep 1895. M iii Samuel Edgar HOLLINGSWORTH was born on 25 Oct 1826. He died on 2 Feb 1916. Nancy Ann HOLLINGSWORTH was born on 2 Feb 1829 in , Knox, Indiana. She died on 11 Aug 1835 in At Age 6. She was buried in Price, Hollingsworth, Cem. Knox, Indiana. M v Thomas J. HOLLINGSWORTH was born in 1830. Sarah M. HOLLINGSWORTH was born in 1832.